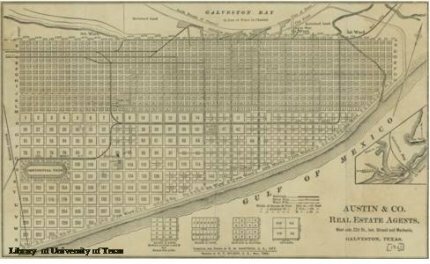 The map of Galveston Texas had not changed that much since 1859 but major constructions were planned in the 1860s. An impressive railroad bridge linking the mainland to the island was completed around that time. The 1880s was a very unique time in the history of Galveston. The city was fast growing as a major commercial center in Texas. The natural water channel was deepened and the first grain elevator was built. Population was growing and the community was expanded. 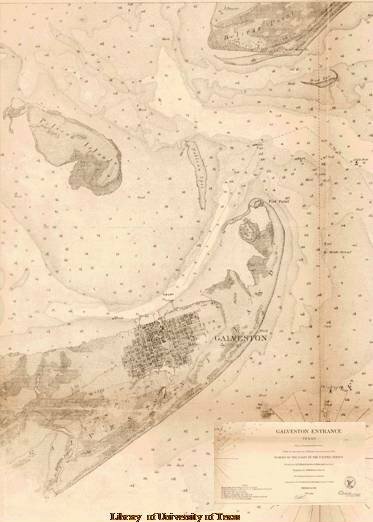 The map of Galveston was becoming clearly defined as seen on the 1889 map below. In the 1930s the city had recuperated from the 1900 hurricane and expanded its ports for business. The causeway was completed and sugar import from Cuba was growing. The community was set to expand as more people came to Galveston. 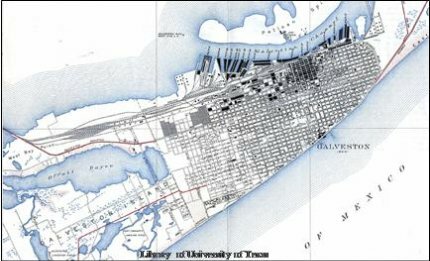 See the map of 1933 Galveston below.